Born during a time when divorce was rare, Eugene de Mazenod had far from an ideal family life. Prayers to St. Eugene can be supportive for people who feel overwhelmed, by interceding for them as they endure the pains of divorce and troubled family life. The breakup of a marriage can destroy all sense of security and open the way to a world of uncertainty. Adults often feel humiliation and a sense of failure, while children may feel inappropriate guilt and a deep fear of parental abandonment. Praying to St. Eugene can provide hope and encouragement for those trying to recover from the myriad disappointments of a divorce together with support for the survivors of broken families, as he himself was the son of parents whose marriage ended acrimoniously. 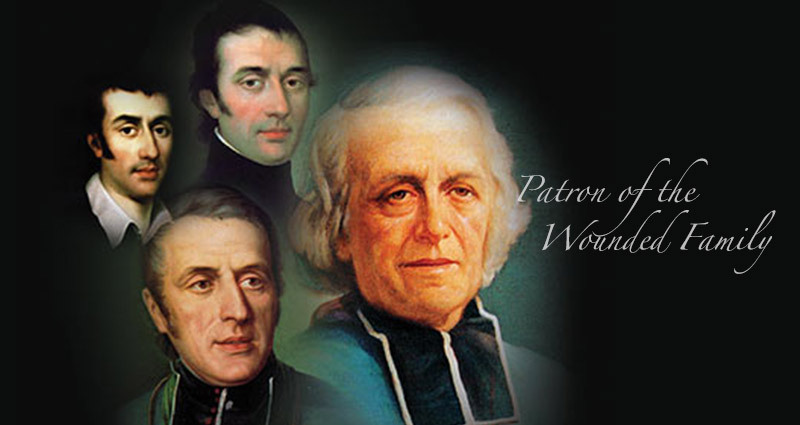 Almighty and loving God, you led St. Eugene de Mazenod through the sufferings and challenges of a broken family to a life of holiness. Through his constant intercession bless those whose relationships are damaged and broken. Grant them the gifts of understanding, patience, love and courage to overcome the problems of life. We ask this through Jesus Christ our Saviour and Lord. Amen. Oblates exercise very diverse ministries but above all seek to dedicate themselves to the poor and abandoned. One can thus find Oblates in Britain and Ireland working in parishes, in missionary formation, preaching, social justice and pastoral ministries, or prisons. “No ministry is alien to us as long as we never lose sight of the main purpose of the Congregation: the evangelization of the most abandoned.” ~ Oblate Constitutions and Rules.